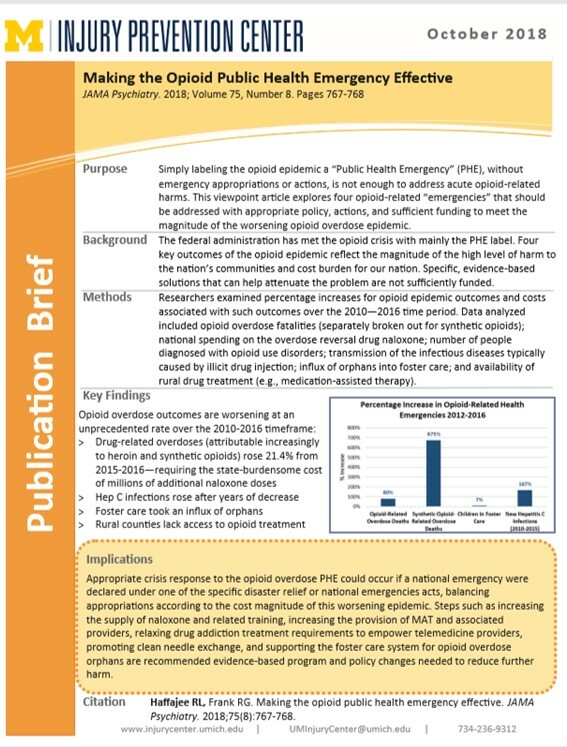 In a recent viewpoint article by U-M Injury Prevention Center researcher Dr. Rebecca Haffajee and co-author Dr. Richard Frank, the authors present recommendations to reverse the $115B + annual burden in opioid-related harms from the opioid overdose epidemic. 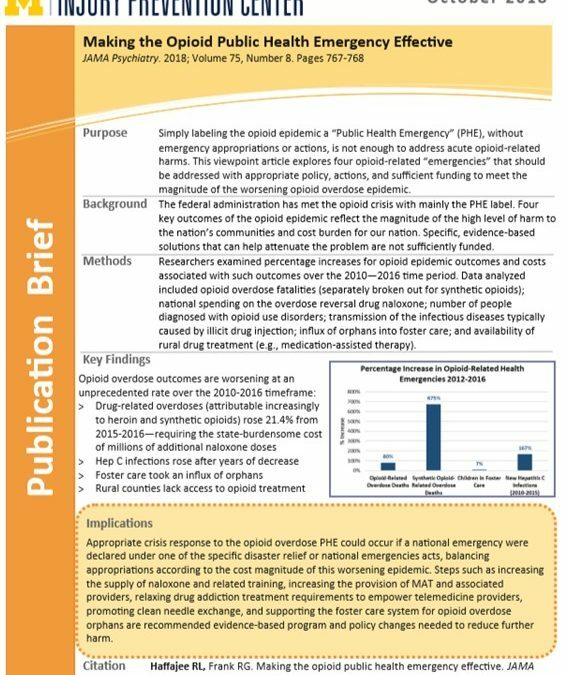 A new U-M Injury Center publication summary summarizing the study’s purpose, methods, and key findings is now available for viewing and sharing. Or read the full article here.